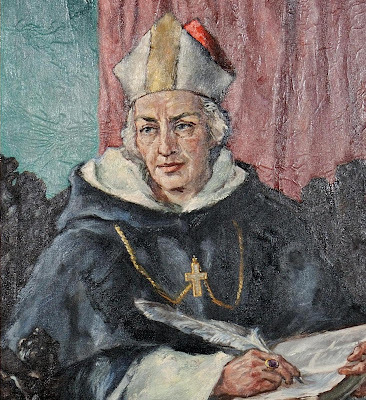 St Albert is important in church history for two reasons. The second is that he was the teacher of St Thomas Aquinas. The first, however, was that he was the person who introduced the works of Aristotle into the theology of the church. Although the translation he used was imprecise, it was accurate when discussing matter and form. Albert passed on these insights to his pupils, the greatest of whom was Thomas, and they became pivotal in sacramental theology. Albert spanned most of the 13th century and left a huge mark on Christian which is still with us today.